Just as Jesus admonished the religious leaders of his day by calling out their legalism and hypocrisy, so today we have prophetic men and women who challenge the painful truth that, in many cases, the nation has discipled the church–we Christians have put on the clothes of our surrounding culture, sometimes no longer even resembling the radiant Bride of Christ. Is it too late? How can we return to the original call God gave his Church? How can we tell when a local church has lost its identity? 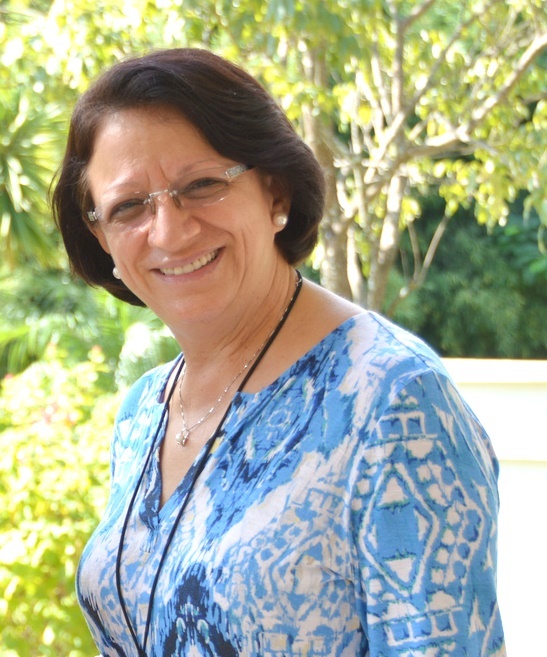 Luis Sena is the contact person for the DNA local network in the Dominican Republic. He has decades of experience in wholistic community development and presently coordinates the School Development Program (Esperanza-Edify Program) at Esperanza International. His 15-minute speech from the 2013 DNA Global Forum in Brazil will make you cringe, but in a good way. After you watch the video (it is in English and Portuguese), please share your comments on the blog. You may also wish to follow along with the written transcript or simply listen to the audio file. 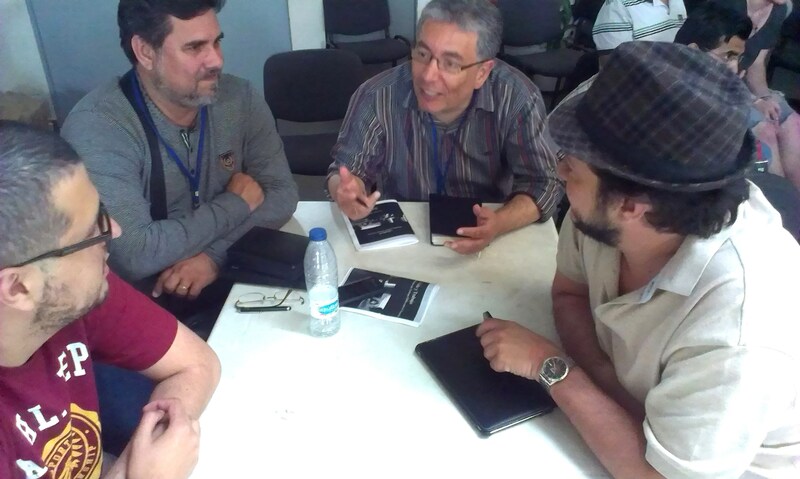 Since 1999, DNA partners from all over the world have gathered about every two years to renew their vision for their work, to share how the biblical worldview plays out in their various ministries, and to build new partnerships for even greater impact. This year, the DNA Global Forum was a milestone. For the first time, it was hosted in Latin America, and two new countries declared themselves as local DNA networks: Puerto Rico and the Dominican Republic! John and Kate on the DNA Global Forum 2013 from Disciple Nations Alliance on Vimeo. Below are a few photos from the week. Click here to see many more! Over the next few months, we’ll feature stories on many of these people and the work God is doing through them. Subscribe to our e-newsletter to stay informed! 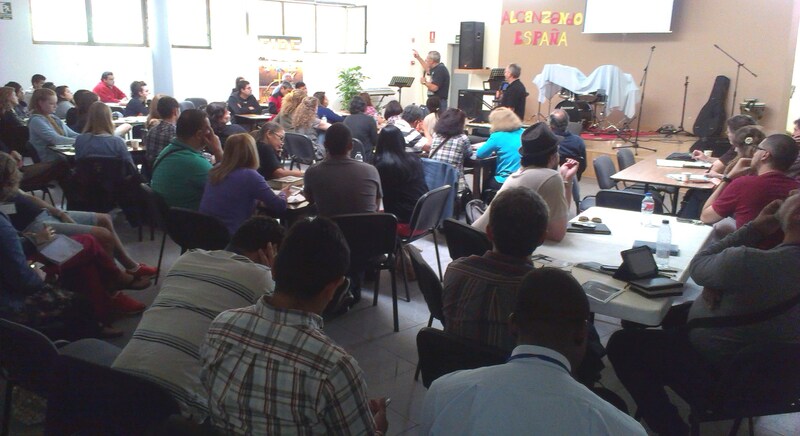 DNA co-founder Darrow Miller visited Chile in June 2012, establishing fruitful relationships with many young Christian leaders. 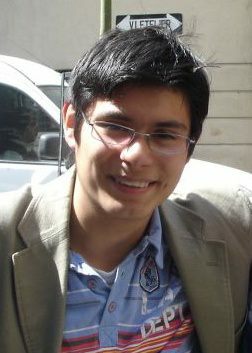 Luis Aranguiz-Kahn, who helped coordinate Darrow’s teaching presentations, is a 21-year-old literature student at the Catholic University of Chile. 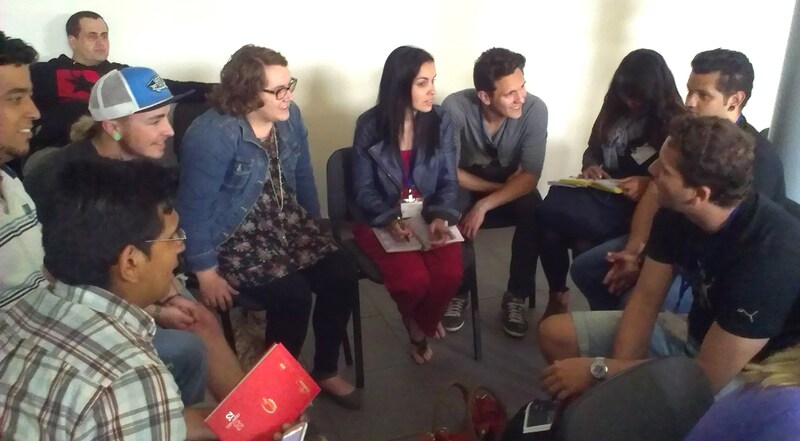 Luis writes essays for the student-led Oikonomos Study Center at his school and yearns to see his nation reshaped by the gospel. He has been profoundly impacted by DNA’s teaching on biblical worldview. A musical event in La Moneda Palace (the federal capital building of Chile) on October 30, 2012, marked the celebration of the Protestant Reformation. The talk, however, was not about theology or philosophy, but music. In particular, the event highlighted the decisive influence of the Reformation on the musical culture of Germany. The evening featured the unlikely connection of Martin Luther and Johann Sebastian Bach. Luther was a theologian, but his thought influenced many other areas. Perhaps his most important cultural contribution was translating the Bible into German. He believed ordinary people had the right to know the Word of God without the intervention of a priest. His vision for the German Bible involved two aspects. First, Luther is widely recognized as one of the great shapers of German language, a profound contribution to his culture. Even the notorious twentieth-century Jewish philosopher, Franz Rosenzweig, calls Luther’s translation of the Bible a “sensational fact.” But a translated Bible that no one can read is useless, which leads to the second part of Luther’s literary legacy, i.e. his efforts to educate the German people. Thus did an Augustinian friar decisively influence the education, and the overall development, of his people. But the scope of the reformation goes much further. His theological concepts influenced many of his contemporaries. For example, Luther’s idea that human beings should not be subjugated to a religious institution led others to affirm human freedom. As a result, an emphasis on obedience was replaced by a focus on perseverance. The psychoanalyst Erich Fromm said about this: “The reformation is one of the roots of the idea of ​​human freedom and autonomy, as they are expressed in modern democracy.” Man, created in God’s image, was not to be subjugated to a highly regulated system or determinative Church. Rather, humans are created to be free in conscience and attitude. As such, they are equipped to live with uncertainty, which requires perseverance and ultimately overcoming life’s challenges through their labors. The Reformation also brought a new governance model for society. Not surprisingly, the foundations of modern democracy are found there. The reformers had rejected the notion of ​​a pyramidal government which embodied all authority in one man (e.g. the pope). Rather,they built a congregational government in their Churches. The brothers would choose their authorities. This democratic Church government would extend to the civil arena as well. Further observations would uncover other similar influences of the Protestant Reformation on the European worldview. But we must turn now to examine the relevance of the Reformation for today’s Churches. Often, when the word “reform” is used in evangelical circles, we think of the need for constant reformation of the Church itself. We forget that the sixteenth-century Protestant Reformation produced not only internal effects within the Church, but permeated society’s worldview and brought transformation to the whole culture. Someone might ask: Does the Church need reform? The obvious answer is “yes.” As an institution of humans, the Church needs constant improving. However, a deeper question remains: What kind of reform does the Church seek? We have witnessed a range of reforms, from theological systems to the inclusion of electric guitars. But what impact have these “reforms” had on our society? The Church has tried to adapt to the felt needs of modernity or postmodernity. She has sought to be more inclusive and dynamic. And maybe she has succeeded. But what cultural impacts have resulted? Sometimes the Church succumbs and adapts, rather than transforms. Is not the Church called to reforms that illuminate not only her own life but that of unbelievers as well? At the same time, if we are to bring true reform, we must not be naive. We must consider the practical as well as the theological, etc. Luther’s German translation of the Bible would have no impact on illiterate peasants. Similarly, there is no point wishing for Church reform without a commensurate and careful consideration of the circumstances. For example, the Church could not effectively influence communications in the 21st century without the proper management of Internet and television. Historical consciousness is required. True reform, i.e. reform that Christians can appreciate, is that which not only transforms the Church, but the worldview of the society. Neither Rosenzweig (a philosopher) nor Fromm (a social psychoanalyst) were Christians. In fact, both were Jews. But both recognized that the Protestant Reformation was more than a change in a religion. Both acknowledged it as a transformation in history. 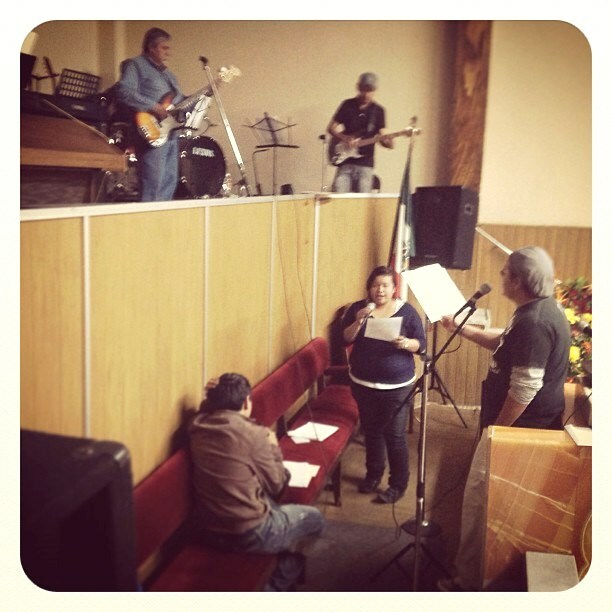 Will the Church reform Chile? May God, by grace alone, guide us to do so. 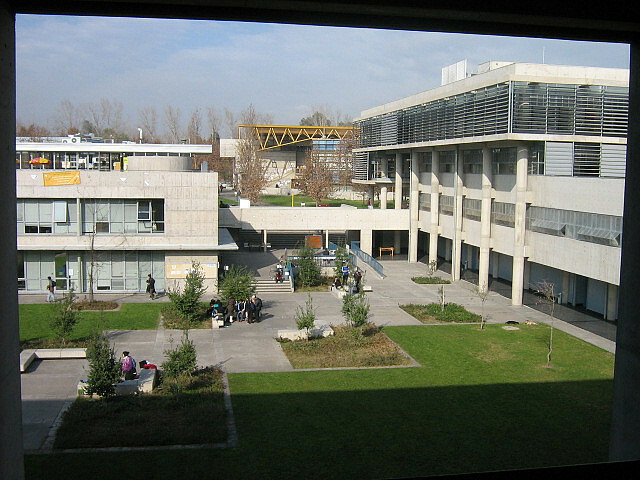 These are the classrooms where Luis studies at the Catholic University of Chile. 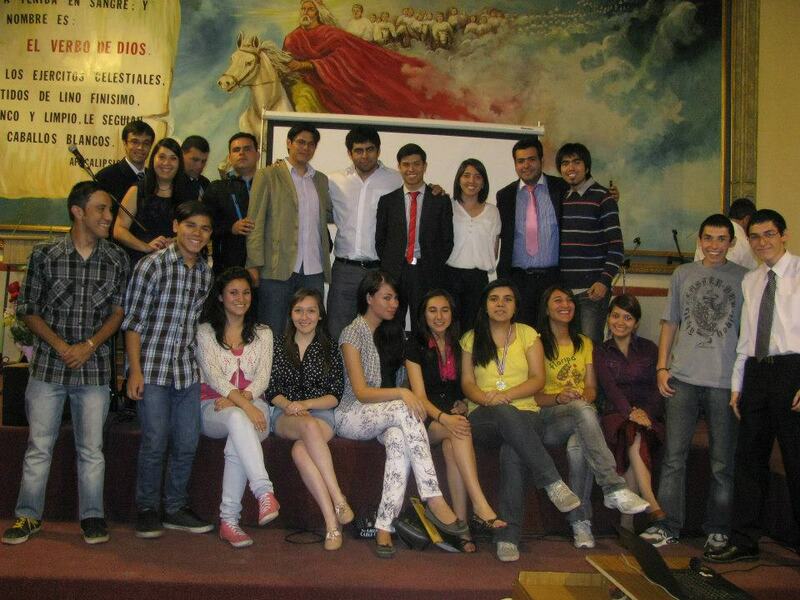 Luis (back row, tan jacket) and others from his church run a “pre-university” project to prepare high schoolers for their university entrance exams. You can contact Luis at luis.arka@gmail.com. Next month: Join Darrow Miller in Peru at Nurturing the Nations conference! Hear DNA co-founder Darrow Miller speak on one of his most popular and engaging topics: the value and dignity of women. Learn how an improper view of women keeps societies locked in poverty, and how a biblical worldview leads to flourishing! To learn more, call 051 – 2211937 / 051-2223825. Reclaiming the Dignity of Women for the Building of Healthy Cultures – Darrow Miller from CCMN & CCN on Vimeo.